Defence Minister Kevin Andrews’ confirmation on Monday that tenders were finally about to open for LAND 400—a $10 billion project to replace Army’s thousand or so M113, ASLAV, and Bushmaster combat vehicles—sparked considerable interest from industry and Premiers but little from analysts. His announcement yesterday that Government has given the project first pass approval and released a request for tenders is likely to attract greater attention. The first tender will be to replace our ASLAVs, due for retirement around 2021. 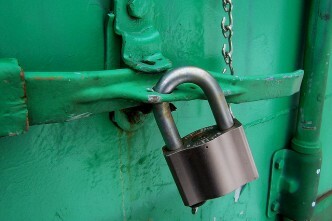 Specifications for their heavier and lighter counterparts are to be confirmed in the coming white paper. Most commentators have been hostile toward the project from its inception a decade ago. 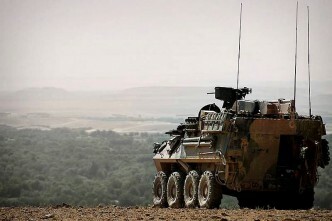 The key complaint arises from a disconnect between strategic guidance in the 2000, 2009 and 2013 white papers, directing that equipment acquisitions be prioritised around what’s needed to prevent attacks against Australia and contribute to stability in our immediate region, and LAND 400’s focus on platforms for high-intensity contemporary and future operations including amphibious assault. Hugh White worries about the opportunity costs of such combat power. He’s also concerned the intended levels of protection, mobility and firepower seem designed for just the sort of major war in Asia that Army would be the least apt of the Services to fight; and that the project could deliver inappropriate kit for likely demands in our own neighbourhood. (Lighter, highly-deployable mobile forces might suit some nearby countries’ fragile infrastructure and low-threat environments.) 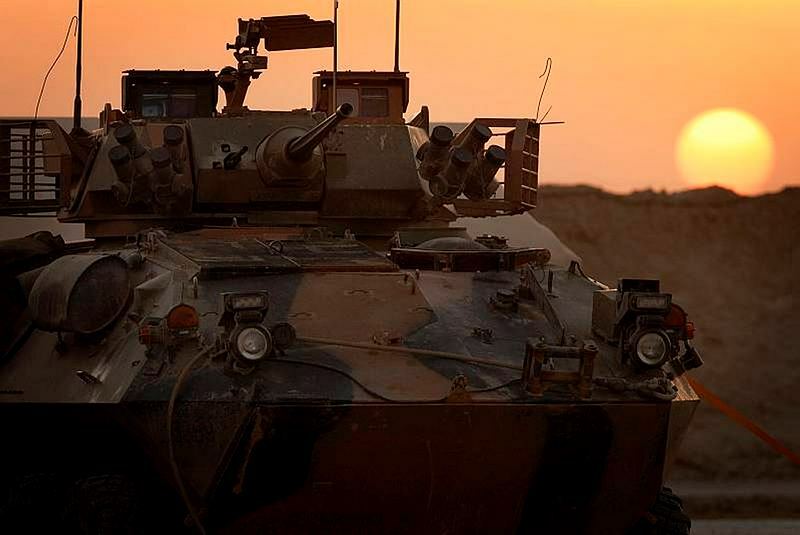 Paul Dibb and Richard Brabin-Smith warn against LAND 400’s departure from the Defence of Australia (DoA) policy framework for disciplining priority-setting and spending. 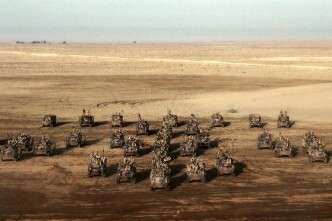 They caution it detracts from higher Army modernisation imperatives—particularly to operationalise true amphibiosity and consolidate Plan Beersheba for improving force generation and combined-arms effects via three similar multi-role combat brigades. So how has such a high price-tag project—wags might call it LAND 10,000,000,000—managed to clank forward through that sniping, and a thicket of political minefields, without much public supporting fire? Sceptics will point to ministers’ reluctance to say no to an ADF with troops in harm’s way; a who’s-who of vested-interests (not least national, state and local leaders keen to make up for job losses in the car industry); and the Services’ disinclination to directly oppose each other’s most-prized projects. But deeper considerations are at work too. An idea that the true (small-d) defence of Australia uses Army as ‘an instrument of national power’ to protect sovereignty and all the nation’s interests rather than just its continental landmass appears central to the case for high-end land power for offshore deployments. That seems both a fudge (what couldn’t be a task for Army under such an elastic conception?) and a statement of fact. Two of Chief of Army Lieutenant-General David Morrison’s favourite tropes help. First, he argues that Army must be able to survive against peer competitors and potent irregular enemies alike. Although Navy and the RAAF also ‘get used’—witness the latter in Iraq—Army is ‘the essential service’ that most often delivers the main effect of joint operations—frequently outside the approved theatres of strategic theology. 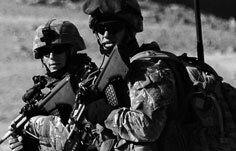 In doing so, its strategic tasks of shaping environments, countering threats and protecting populations translate into a spectrum of missions, ranging from non-combatant evacuations, to stabilisation-missions (RAMSI or East Timor-redux), proportionate contributions to Coalition operations, and even providing a basis for national mobilisation. That breadth of duties (and the impact of IED-armed insurgents in the Middle East) have spurred a drive for professional mastery measured against all-comers. And there, a force designed to go up against our most capable potential adversaries (or allies during exercises) will be better able to overmatch a sophisticated terrorist group with hi-tech weaponry or a rowdy mob jostling our deployed troops than one tailored just for lower-level contingencies. For LAND 400, that means ‘the days of soldiers being transported in vehicles made of tin and canvas are long gone’. Platforms once known as ‘armoured personnel carriers’ won’t be contemporary ‘infantry fighting vehicles’ but ‘mounted combat reconnaissance capability’. That updated jargon signals that vehicles able to operate in complex, lethal, and networked future environments won’t be your grandpa’s battle-taxis. 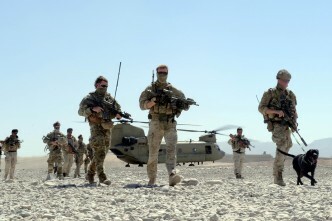 Second, Morrison argues ‘we can’t benchmark ourselves against the Taliban’. Although that reinforces his peer–competitor axiom, our inability so far to prevail strategically, for all Army’s valour and sacrifice in Afghanistan, points to the Service’s unique combination of usefulness and limitation. At some point in every domain, quantity has a quality all its own, but the force-multipliers of a technological edge and skill at arms probably falter first against sheer numbers on land. That LAND 400’s no longer described as a $19 billion project stems mainly from discussing acquisition rather than through-life costs. But it may also reflect some scaling-back of expectations in recognition that, while Army helped check the PLA in Korea over 60 years ago, its capacity to decisively influence a large Asian power is finite. As we’ll have to wait for the white paper to see the scope of the M113-replacement, yesterday’s announcement doesn’t provide many clues whether there’s still further stretch in ‘DoA Plus Plus’. Few in Army would mourn DoA’s passing. But the impact on sound Army planning might be mixed.